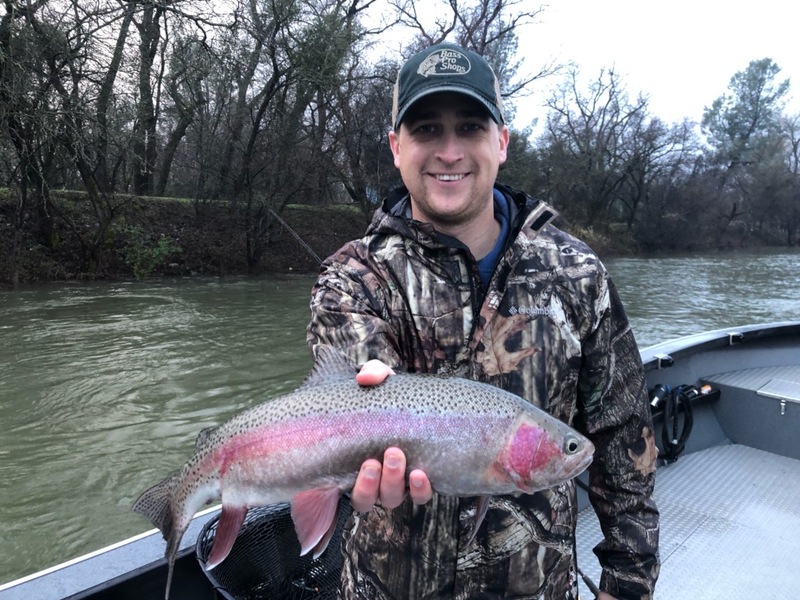 Lower Sac rainbow bite is on! 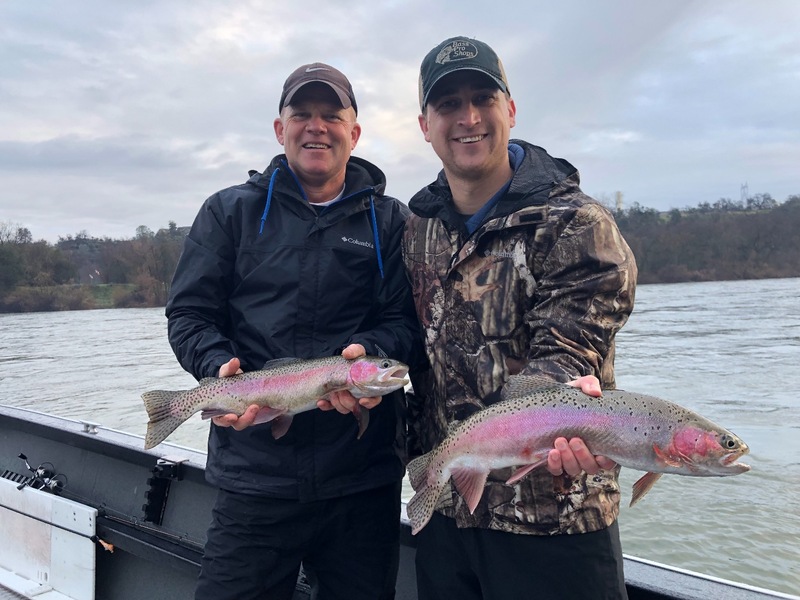 Redding fishing guide Justin Thompson is taking advantage of a great bite on the Lower Sac for wild rainbows and steelhead! visit www.jeffgoodwinfishing.com and book your trip today! Its a wide open bite right now! Shasta Lake has exceeded the flood control levels for this time of the year and, just like 2017 and 2018, water managers are releasing heavy flows from Shasta Lake into the Sacramento River. In just a few days, The Lower Sac went from a steady 3,250 cfs to over 30,000 cfs. Thats big water for downtown Redding, but its not too big for steelhead/trout fishing from a power boat. Now while I don't recommend low experience jetboat drivers head out under the current river conditions, I feel obligated to report that the steelhead/trout fishing is very good right now. River guide Justin Thompson has been putting his years of experience on the river to get fishing clients on some really good fishing right now. Side drifting the slower edges of the Sac from his 25' jetboat has been very productive and the fishing is as good as it gets right now. Most would look at the flows right now and think, no way, but thats just not the case! 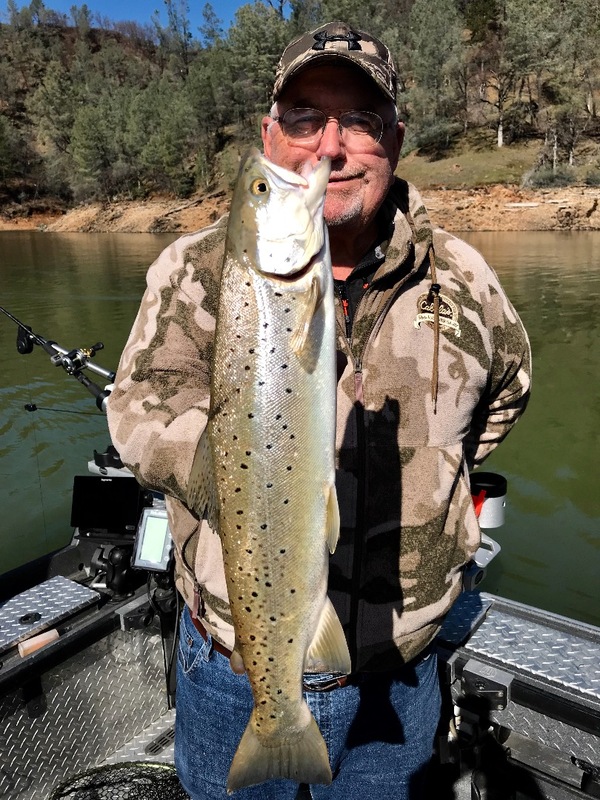 The river south of Redding is gonna be blown out for a while, but fishing in the Redding should be really good as long as they don't bump up the flows too high. Right now, its the best fishing the Sacramento River has to offer. Shasta cleans up after storms! 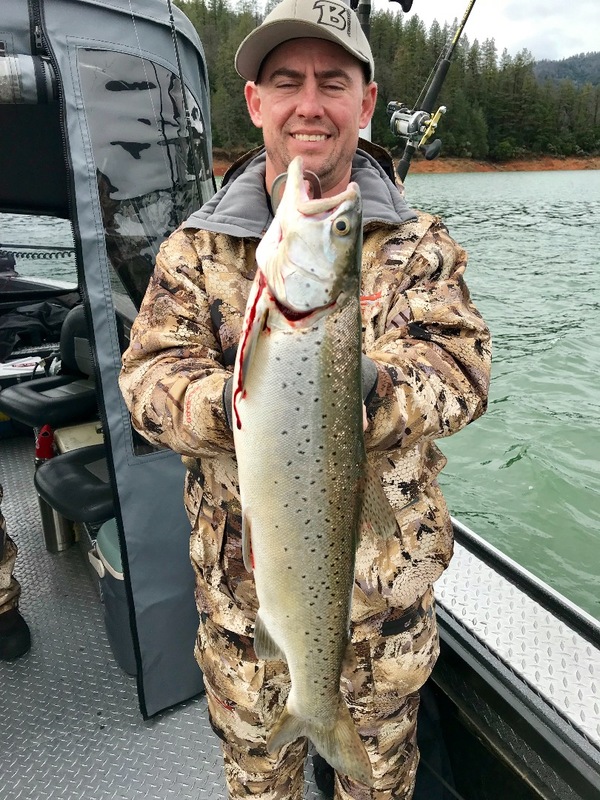 Shasta water releases begin and the trout bite remains spotty.